A new report released today by well-known social demographer Bernard Salt reveals by 2026 more than eight million Australians (31 percent of the population), including the entire baby boomer generation and some Generation Xers, will be surging into the bowel (colorectal)-cancer stage of the lifecycle. Developed by KPMG Demographics and commissioned by Bowel Cancer Australia, the In the Crosshairs of Colorectal Cancer Report examines the confronting demographic issue behind bowel cancer and our ageing population. Through national profiling and mapping, the report—which has been released to coincide with Bowel Cancer Australia’s Don’t Wait Until It’s Too Late campaign—also highlights those communities most likely at risk. The data reveals bowel cancer strikes deepest and harshest among rural and retirement communities, where the 50-79 age group comprise at least one-third and up to one-half of the local population. Even before the Program’s scheduled full implementation in 2020 – almost two decades after it was first piloted – colonoscopy waiting times in the public health system have exceeded recommended time frames. “The reporting and publishing of colonoscopy waiting times on the My Hospitals website is long overdue,”Mr Wiggins said. “Bowel cancer patients require timely access to surgery, treatment and cancer support services, however, these are not always available locally which can adversely impact patient outcomes,” Mr Wiggins added. While the largest number of bowel cancer deaths is associated with our largest capital cities, the actual rate of bowel cancer deaths is highest in rural and retirement communities. In terms of capital cities, Murray (Perth) and Sorell (Hobart) had the highest bowel cancer death rates. In some capital cities, rates were found to vary up to three-to-four times between communities.  Access to cancer centres is poorest on the remote edges of rural Australia in places like the Victorian Wimmera and Mallee; the mid-north coast of Western Australia, the Mackay region of Queensland and the central west of New South Wales servicing the region around Dubbo. The north west of Tasmania is also beyond convenient reach of the cancer centre in Hobart. “By 2026, more than eight million Australians will be in the crosshairs of colorectal cancer, a largely preventable disease. A compelling reason in itself for the nation to embrace public health initiatives designed to address this urgent national issue,” Mr Salt said. “We want to see more lives saved through prevention and early diagnosis, and equally we want to help more patients become survivors,” Mr Wiggins concluded. The lifetime risk of developing bowel cancer is about 1 in 12 (8 percent). Bowel cancer risk rises sharply and progressively from age 50. Around 95 percent of bowel cancer deaths occur in the over 50 age group. 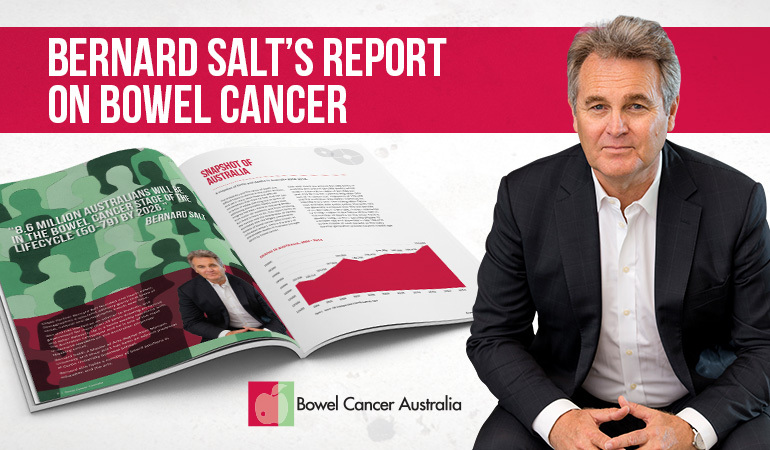 Download Bernard Salt's Report - 8 Million Australians in the Crosshairs of Colorectal Cancer.